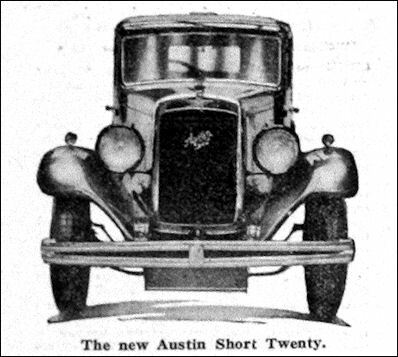 For 1931 four Austin chassis the 7hp, 12hp, 16hp and 20hp are being continued with improvements, but no very radical alterations. 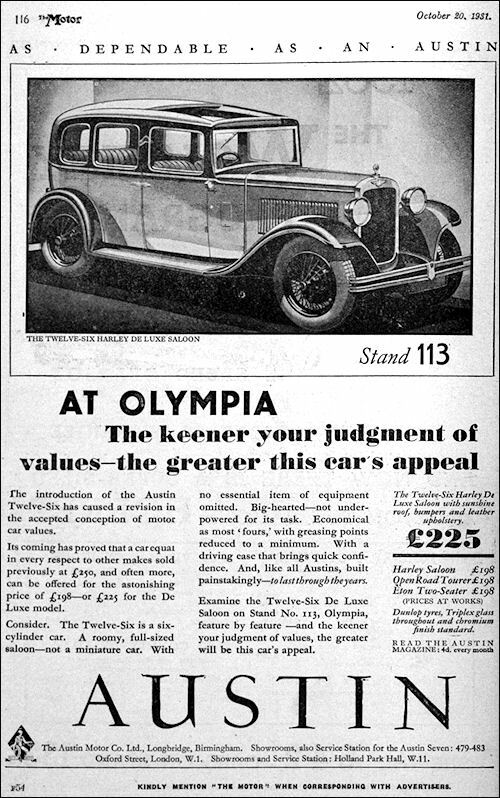 The coachwork is more up to date and in many cases prices, are lowered. 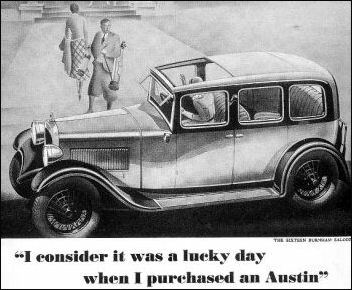 Austin Seven 'Chummy' Tourer of 1930/31 have a shorter scuttle than before and a revised bonnet with two sets of louvres. 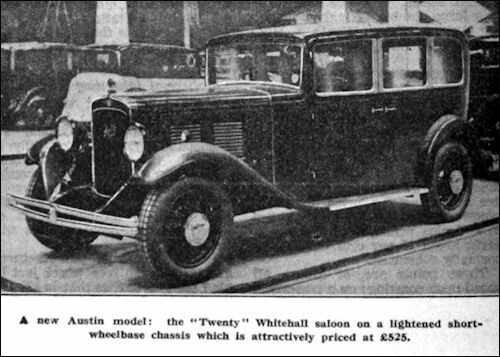 In August 1931 the wheelbase was extended from 6 ft 3 in to 6 ft 9 in. 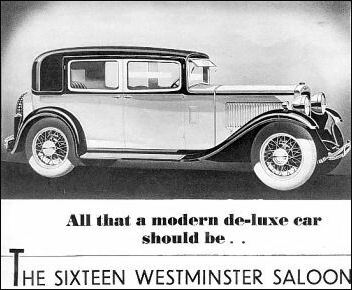 Seven Saloon de Luxe (long wheel base). 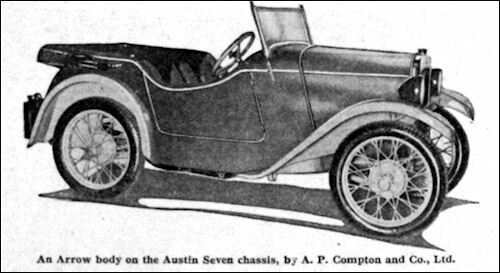 Austin Sixteen chassis have a 2249-cc (65.6 x 111 mm) six-cylinder engine and 9 ft 4 in wheelbase. It cost £235. 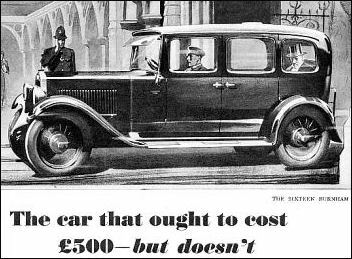 Complete cars, with factory-built bodywork, are in the £310 to £345 price range. 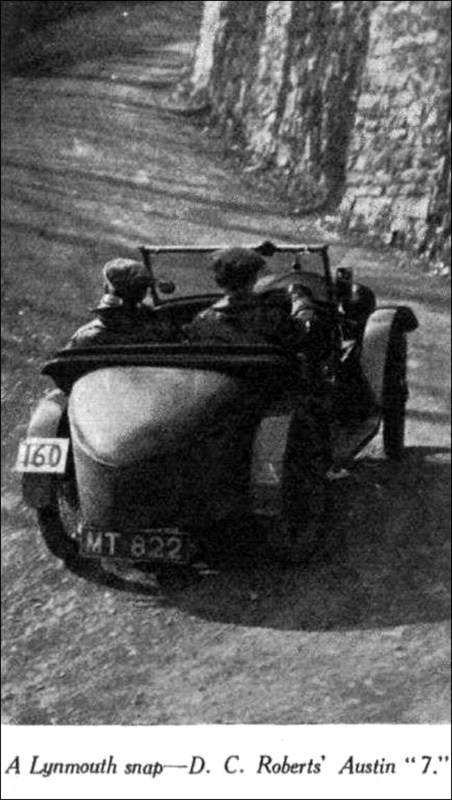 03.10.1931 Brooklands 500 Miles 5 0 fail. THE rapid development of the " 750 " racer has been one of the most noticeable features of motor racing in the last few years, and this has certainly been stimulated by the friendly competition between the M.G. and Austin in setting up new figures. 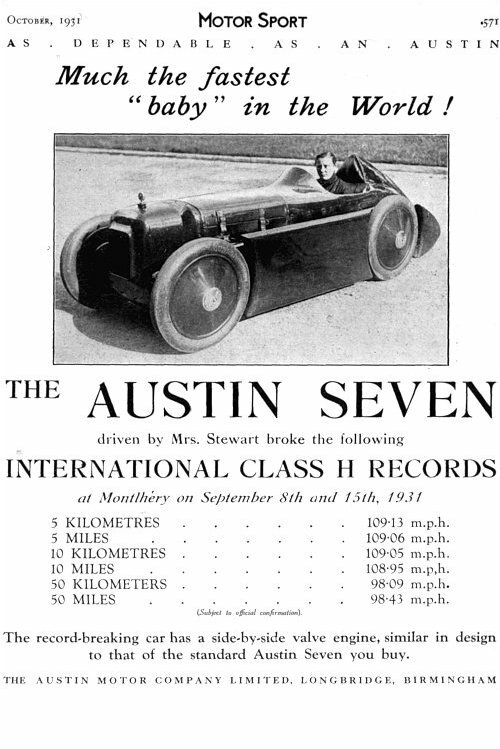 George Eyston put up some fine performances at Monthlery on the M.G., and it was then up to Austins, who may almost be said to have created the 750 class in racing, to go one better. 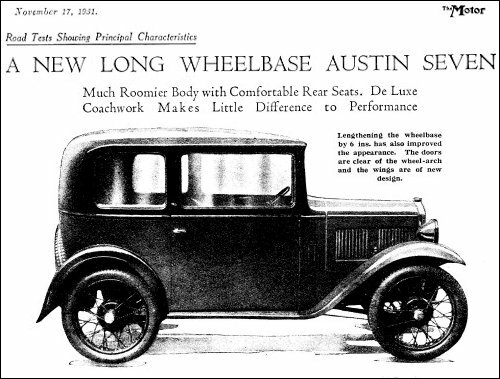 An Austin had been in process of being prepared for records for some time past, and the details have been well known for months. 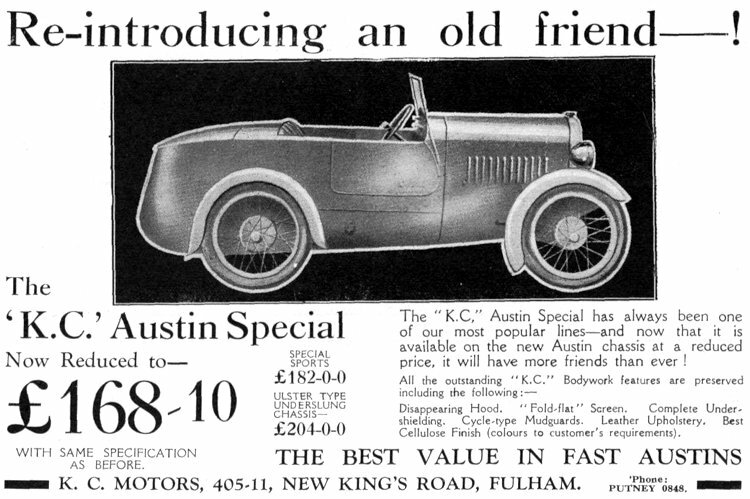 The chief points of interest lie rather in the chassis than in the engine, which is entirely on the lines of previous Austins, and it says a great deal for the design of this famous engine that such power can be got out of it without any drastic alterations. The chassis alterations are made simply to provide a low seating position and the minimum frontal area. This has meant off-setting the propeller shaft so that the driver can sit beside it, and the body work has been built up from this to suit the driver. 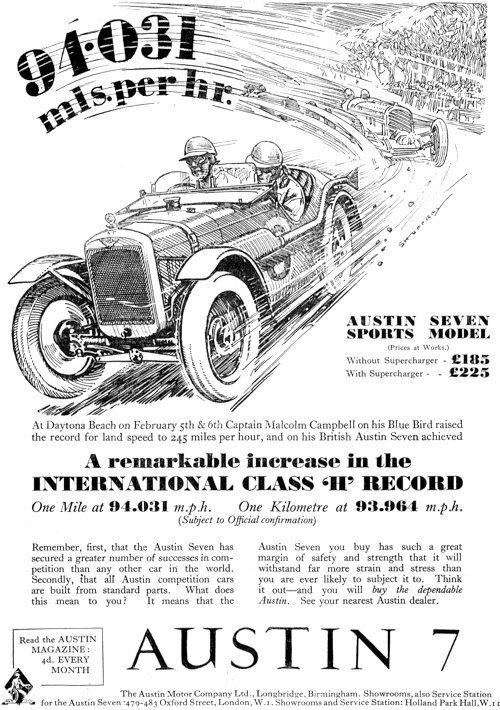 Originally it was intended to be driven by Sammy Davis, but when he was unfortunately placed hors de combat for this season, Sir Malcolm Campbell undertook to drive the car. However, when the time came for the record attempts Campbell was unable to be present for the job so Leon Cushman took over, with what success we already well know. Body "made to measure." The body was practically "made to measure" for S. C. H. Davis, and Cushman is fortunately very similar in size and build, and was able to fill his place, literally, without difficulty. A very gallant little motor. A three-quarter rear view of the 100 m.p.h 750 c.c. Austin, with Leon Cushman gracing the cockpit. scientifically checked in a wind-tunnel in order to obtain the best possible results. So much for the drivers for the moment, while we consider the mechanical side of the question. When talking over the speeds obtained with Capt. A. R. C. Waite shortly after the event, we were very impressed with the quiet accuracy which characterised all the arrangements. 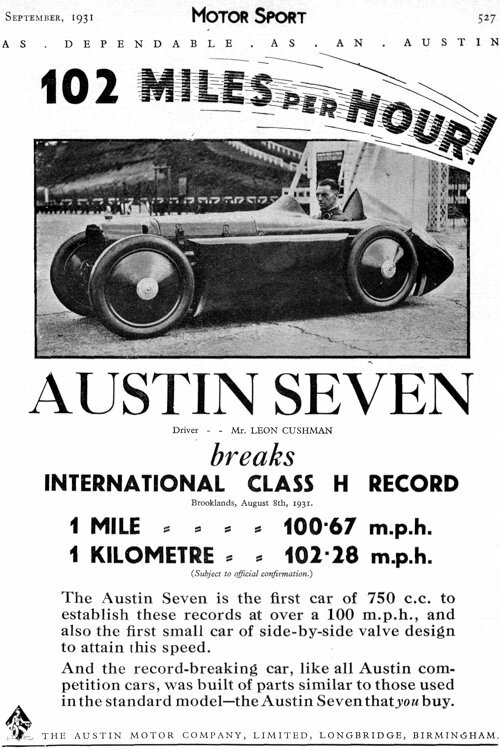 The object was to be the first " 750 " to do 100 m.p.h. 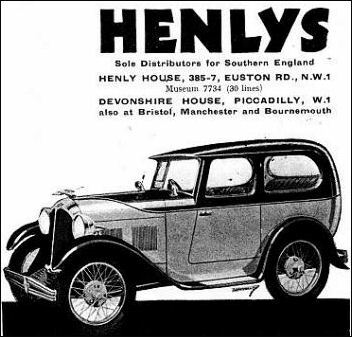 for the mile and kilometre, which meant doing the records at Brooklands, as Monthlery is not eligible owing to gradient etc., for these two-way records. 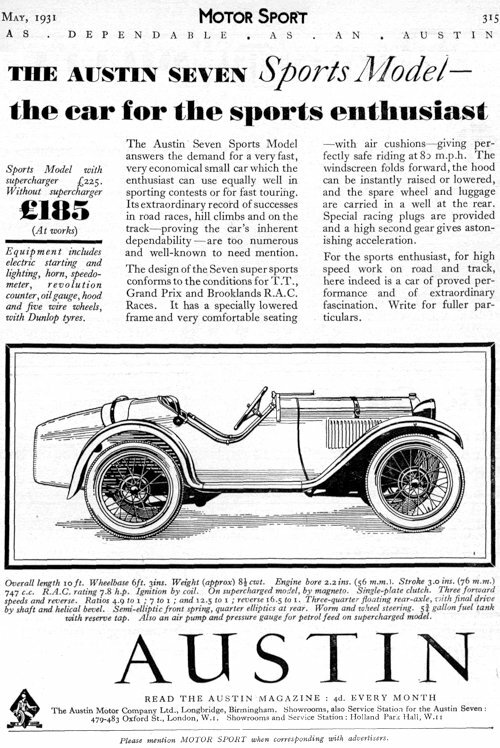 Bound up with this object was the desire to be the first side valve engined car in the " 750 " category to beat 3 figures. A nearly standard engine. Capt. 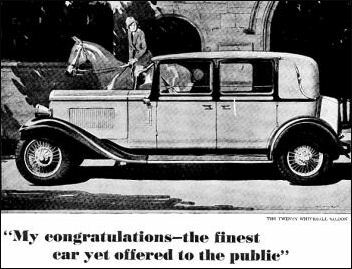 Waite was keen to emphasise the fact that the engine was a standard production in nearly all respects, always admitting that the record breaking unit had received that extra care in building and tuning which makes that little bit of difference which is so important. 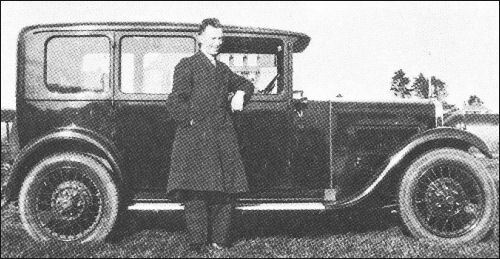 As for the ability of the car to get the record, this was never in doubt, as the car itself had been subjected to wind-tunnel tests at Vickers, and it was now within a horse-power or so of what was required of the engine to do the necessary speed. A blower pressure of 15 lbs. to the square inch was used, and the blower itself was of the Roots type, and actually made by Austins themselves for the job. The engine gave 56 b.h.p. at 6,000 r.p.m., and was run at this speed for the records. When everything was complete and the car had been lapping at 99 m.p.h. they stripped down the engine for examination and found a slight crack in a valve seating. Accordingly another cylinder block was fitted and the records duly obtained, a good example of the value of standard parts for racing. 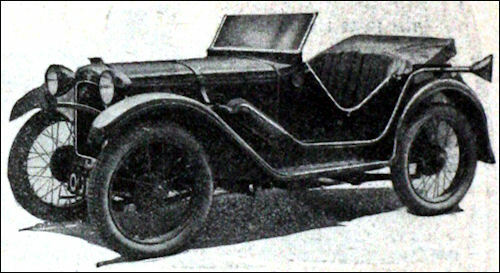 The radiator is separately mounted in a similar manner to that on " Bluebird " but was actually designed as such, prior to the making of Campbell's record-breaker. The first record attempts were made with discs on all wheels, and the record was raised to 99.64 for the kilometre. 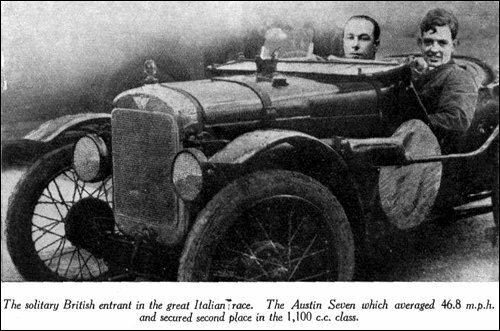 The wind was a bit tricky that day, however, and Cushman reported that the car was not too easy to hold when going into the straight, so the front discs were removed with great improvement in the controllability, and also in the speed, which went up to 100.67 for mile and 102.28 for the kilometre. Congratulations to all concerned on a very fine performance.